The most reviewer-lazy way of describing Brutal Kingdom is to say it's halfway between Love Letter and Citadels, but since we shouldn’t be lazy reviewers let's go into a little more detail. Brutal a Kingdom is all about claiming influence tokens and to do this you merely have to play one of the four cards from your hand that shows said tokens. 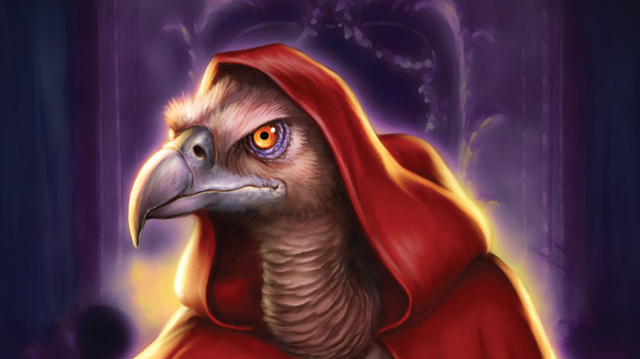 The problem is that each card in the game is unique and many of the beautifully anthropomorphic illustrated cards have murder in their eyes and can kill another specific card. And because of some form of blood soaked massacre that never is really explained they also slaughter everything else played by the target so far this round. Against the advice of Monty Python and the Holy Grail we need to talk about who killed who, as there's a complicated flow chart describing which character can kill which character. Thankfully there are some other forms of manipulation, allowing you to see people's hands or swap cards with the unused cards in the centre of the table. The first barrier to entry in playing Brutal Kingdom is that understanding these interactions is key to playing the game and while reference cards are provided it's going to take a few rounds at least for these interactions to click. And for some players it's going to be a few rounds of misery because this game can indeed be Brutal. When a character is a killed, all characters played before it are also killed, and so if your fourth character takes a knife to the back then you are going to end the round with zero influence tokens. Null. Zilch. And that can be very frustrating, but not as frustrating as the scoring system itself. 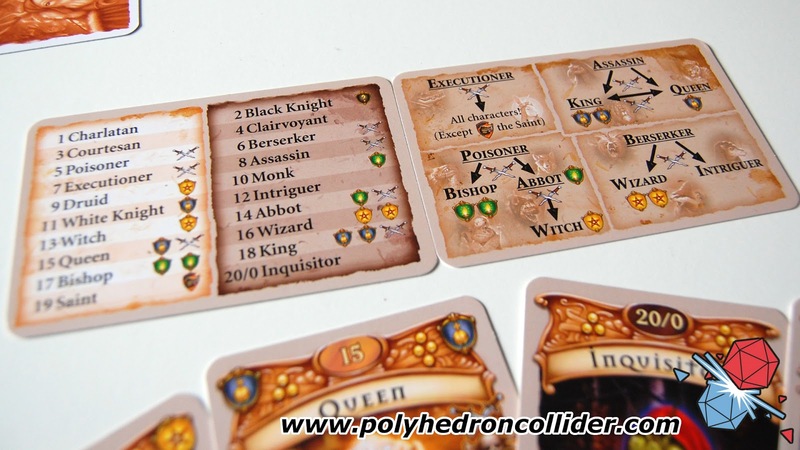 At the end of the game each influence token is worth a number of points equal to the remaining tokens of that type in the central pool at the end of the game. It's has meant that at end of four rounds some tokens can be worth seven or eight points each, while other tokens are worth only one or in the worst case nothing. I can see what the designer is trying to do; I can see that the concept is that players either need a good spread of all tokens or need to manipulate the pool of tokens to benefit themselves. However, my experience so far is the final scoring just ends up being completely random. It's indicative of my feelings of Brutal Kingdom as a whole, I can see how it's supposed to work in theory but that's completely different to getting it to work in practice. I think the core of the problem is that in order to get the most out of Brutal Kingdom you need four players who can play the game well. 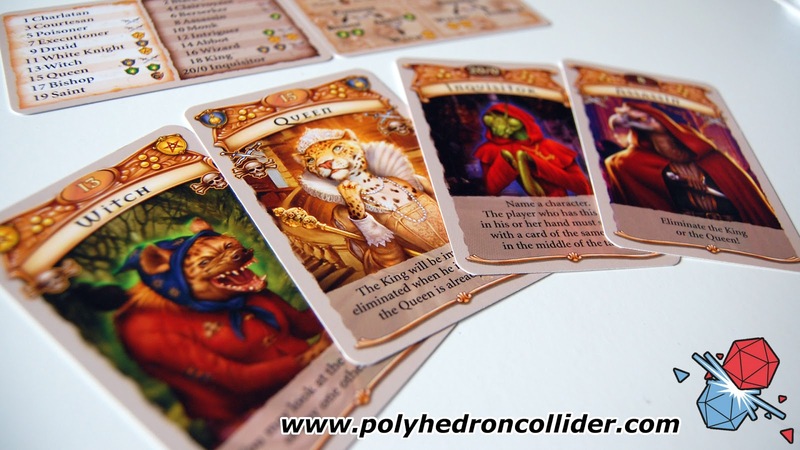 There are rules for a three player game but they remove some of the more interesting cards, there is no doubt in my mind that Brutal Kingdom was specifically designed for four players and four players only. Unfortunately Brutal Kingdom is a difficult game to play well. It only takes one player who isn't keeping their eyes on the game to introduce a level of chaos that effectively nullifies the final scoring. I have tried with Brutal Kingdom, I really have. I've tried with various groups. I've tried to explain the seemingly convoluted rules. I've tried to prime the players on potential strategies and what to look for during the game and no matter what I try I can't get Brutal Kingdom to work; it's just not gelling with me. But there is definitely going to be a home for this game. I can see the potential but it requires a table of four players that get the concepts, that have a good enough memory that they can ascertain where each card is at each time and be impeccable in their timing. However, the game requires a perseverance that many players are simply not going to have. 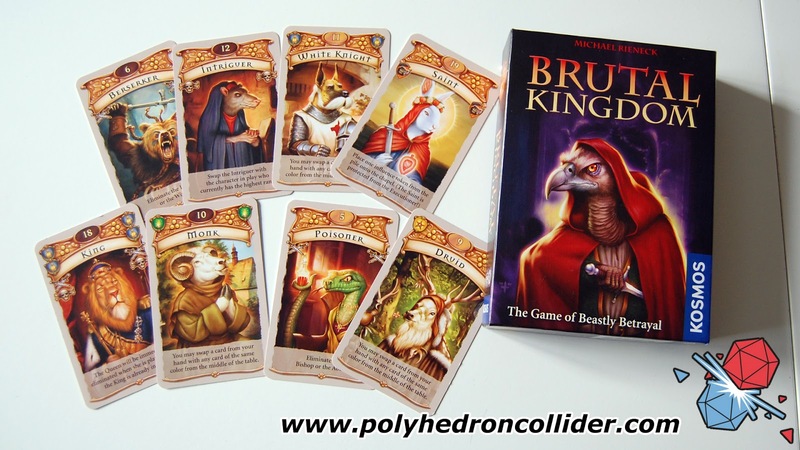 If you are a gaming group that enjoys games like Citadels and Mascarade, or is finding Love Letter far too light, then there is a good chance Brutal Kingdom may well be for your group. And I have once again devolved into lazy-reviewer clichés. Naughty Steve, in your basket.